This has been a summer of flood disasters, with two major hurricanes hitting the United States, affecting the Houston area and most of the state of Florida and parts of the east coast. Recovery from disaster can take a while. Whether you are a landlord or a tenant, it’s important that you follow the directions of local officials, and your state laws. Probably the number one question on the minds of tenants and landlords is “what happens to the rental agreement if the apartment is uninhabitable due to a hurricane or other natural disaster?” This depends on your state law. In Texas, if housing is deemed totally unusable, then either the landlord or tenant can terminate the lease. Your landlord is obligated to make repairs. If you are able to stay in the unit, you must continue to pay rent. The landlord is not responsible to damage caused by a natural disaster to your personal belongings. That is covered by your renters insurance. In Florida, nothing requires a landlord to prevent hurricane damage to your rented house or apartment. You could be on your own for putting up shutters, taping windows, or making other preparations. Florida law only requires that the building meet safety standards for normal loads and conditions. In fact in some HOAs, it is forbidden to put up shutters. This is because the anchors to secure the boards remain in place after the boards have been removed. Some tenants have resorted to doing it anyway, purchasing plywood on their own. They may be liable later for fines. Most renters insurance policies will pay for temporary housing for tenants, if the unit is uninhabitable. There may also be some relief available from FEMA. If the property is a total loss, only the tenant can decide to terminate the lease, or remain after a natural disaster or casualty. They can also decide to live in the part of the unit that is unaffected, and pay rent proportionately. According to Florida Statute 83.63 Casualty damage—If the premises are damaged or destroyed other than by the wrongful or negligent acts of the tenant so that the enjoyment of the premises is substantially impaired, the tenant may terminate the rental agreement and immediately vacate the premises. The tenant may vacate the part of the premises rendered unusable by the casualty, in which case the tenant’s liability for rent shall be reduced by the fair rental value of that part of the premises damaged or destroyed. If the lease is terminated, the landlord is required to comply with laws concerning the return of the security deposit. 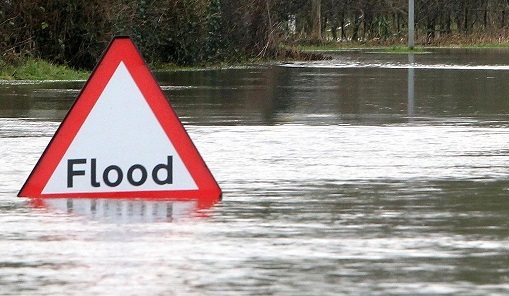 Flood insurance covers most losses due to surface flood waters. You can purchase flood insurance through the National Flood Insurance Program which covers your structure, and a separate flood insurance policy for personal property. Personal possession values are based on actual cash value, not what you paid for them. Tenants can purchase a policy for personal property. Flood insurance purchased through the National Flood Insurance Program will cover losses resulting from damage from surface water, such as storm surge, overflowing rivers and streams, collapse of land in coastal areas, or unusual accumulation of runoff water or mudflow in a short period of time. Valuables that usually belong in a safe deposit box, such as jewelry, stock certificates, bearer bonds, cash, or precious metals are not covered by flood insurance. It also does not cover post flood damage from mold, or damage to septic tanks, hot tubs, wells, trees, sewage backups, swimming pools, or decks and walkways. Plan ahead. There is a 30 day wait period before the policy takes effect once it is purchased. A landlord or tenant may also be eligible for federal disaster assistance. These would include housing, loans, grants, income tax deductions, counseling, and assistance with floodproofing.